Born & brought up in Darjeeling, the queen of hills, he started playing from a very early age. He was highly influenced & inspired by his father who is also a good guitar player and musician. In 2002, thinking of pursuing his career in music he came to Kathmandu and has performed in several famous places as House Band. 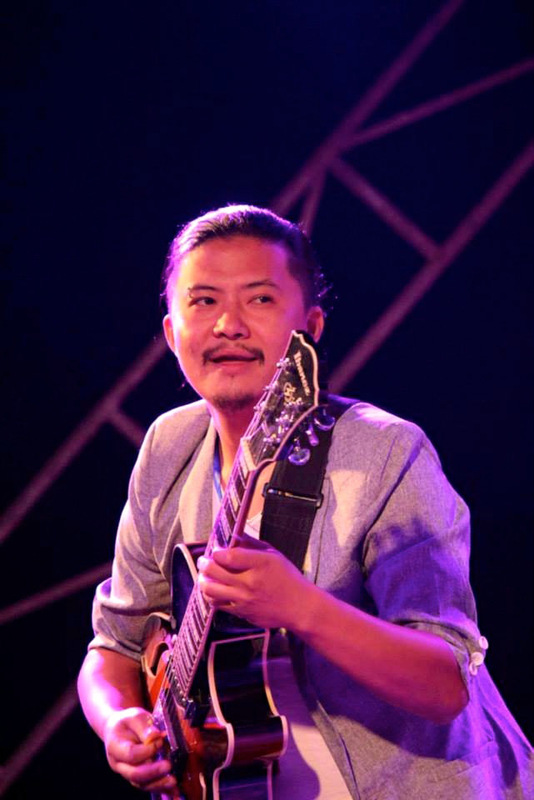 Later he joined the famous jazz band Cadenza, the oldest and most famous Nepali jazz band in town and has performed regular gigs at “The Jazz Upstairs”. They are well known not only amongst the local people but have been appreciated by many who have come to visit the country. They have been performing in the bars, pubs & restaurants for more than a decade and have enthralled the crowd through the years with their music. Their work have been praised and enjoyed and have regular listeners at the bars and restaurants they perform in. He also performs with “April Rush” an acoustic band where he accompanies them in guitars and also back-up vocals. He has also done a part time teaching as a Music Teacher at British School & Triyog High School. He’s been regularly participating in the Jazzmandu held every year and has performed with several international artists and groups such as the Norwegian Big Band “Ibsen”(in 2005). He teaches Guitars at the KJC (Kathmandu Jazz Conservatory) and looks after 3 major combos: Rock Combo (a.k.a Broken Butterfly), Jazz Combos 1 & 2. He also heads the Soul & Jazz-Funk band ‘Street Life Collective’ and the Jazz band ‘Silver Wind Quartet’. Now, KJC has appointed him as an Academic Coordinator in January 2013. Since then he has been looking after the academic department and training and grooming the faculty.